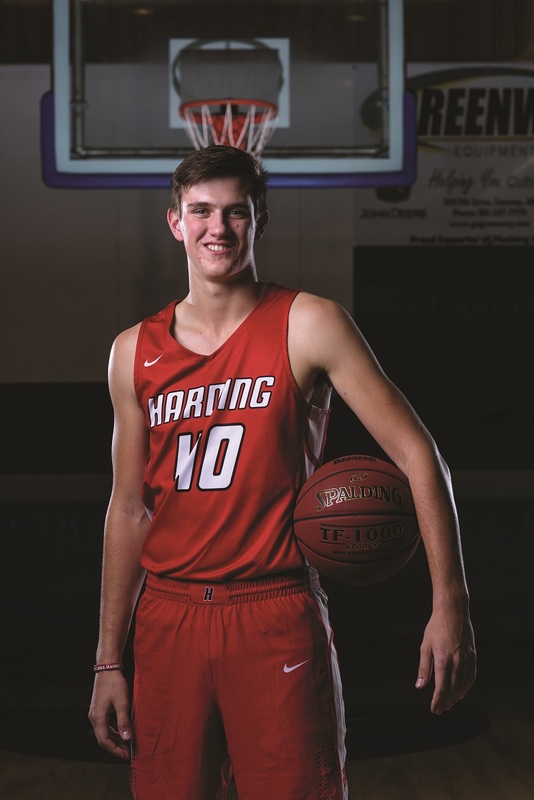 Harding Academy forward Davis Morgan will never forget his earliest basketball memories. As the son of a college basketball coach, the senior was practically raised in the gym. Though many faces came and went through those doors, one face lingered with Morgan through the years, whom the senior grew to model his play after. Fast forward to the present, where Morgan has just inked his future to go right back to where it all began. Morgan was selected to this year’s 501 Basketball Team — 34 players representing the best the 501 has to offer both on and off the court. The team is sponsored by Conway Ortho and Sports Medicine, Conway Regional Health System and First Security Bank. The senior was nominated by his head coach, Brad Francis. Fresh into his final year with Harding Academy, Morgan aims to leave everything he has on the floor one last time. Fueled by great team chemistry, Morgan believes the Wildcats (2-1) are equipped to make a deep run this year. Taking things one game at a time, Morgan and the Wildcats eye this week’s White County rivalry game with excitement. According to Morgan, the Wildcats are red-hot after their best performance of the year. Off the court, Morgan plays football and golf for Harding Academy, is a member of Beta Club and is student body class president. In his free time, the senior gives back to the 501 through his youth group at College Church of Christ in Searcy. He was also named to the 501 Football Team in 2018. Morgan hopes his story will inspire others the way he was as a youth athlete. Harding Academy travels to Riverview at 7 p.m. Friday.